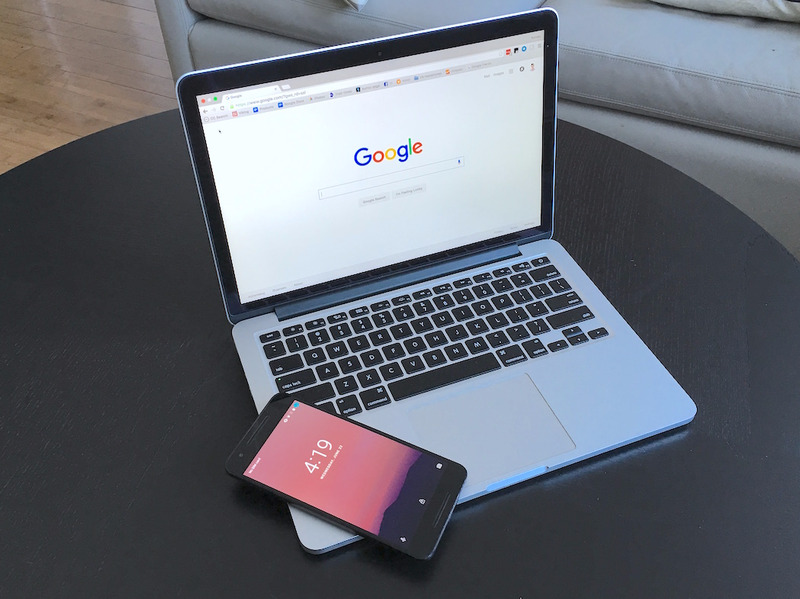 The Mac/iPhone combo is hard to beat when it comes to little features that make a big impact — but Google’s own Chrome/Android ecosystem has some pretty great tricks up its sleeves, too. You could even argue that it’s better than Apple’s Mac/iPhone combo because you can use these features with both Macs or Windows computers and almost any Android phone. Some of these features even work with iPhones! Essentially, all you need to do is activate Google Now on your Android phone, and you need to be logged in to the same Google account on both your Android phone and Chrome on your computer. Check out these five useful features that make the Android/Chrome combo hard to beat. If the features below don’t work with those two basic requirements, check out Google’s own instructions on how to link your Android phone to Chrome on a computer. Send Google Maps directions from your computer to your Android phone. 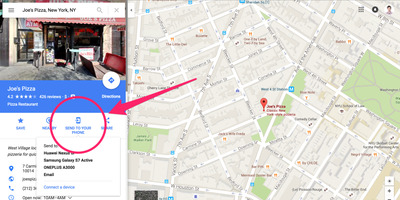 If you're on your computer and you're about to dash off to a meeting, you can quickly get directions to the meeting's location in Google Maps on your computer and send them off to your Android phone so you don't need to re-enter the location details again. Just type in the destination in Google Maps and look for the 'Send to your phone' option in the center left of the screen. Click it, then click your phone's name, and just like that, directions to your destination will appear automatically on your Android phone's lock screen and notification shade, ready for you to check. 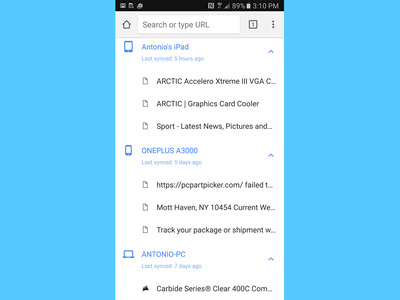 Sync your Chrome tabs on your computer to your phone. This is especially useful if you were reading or researching something on your computer and you want to keep going on your phone when you have to head outside, or vice versa. In the Chrome app on your Android phone, just tap the Settings icon (3 vertically aligned dots) on the top right > Recent tabs > and you'll see all the devices where you're logged in to Chrome. 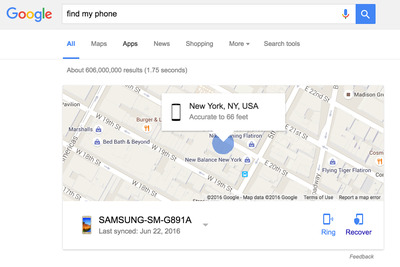 Just typing 'find my phone' in the Google search bar will prompt Google to search for the last known location of your phone. Control your computer with your phone. I can see my Mac's screen on this Android phone just like I would if I was sitting in front of it, and I put it to sleep. To do so, I had to install the Chrome Remote Desktop app from the Google Play Store on the Android phone, as well as the Chrome Remote Desktop app for Chrome on my computer. Then, just follow the instructions. This also works for Windows computers, too. 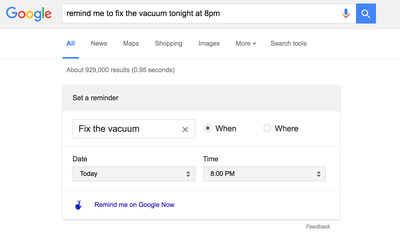 Use Google search to set reminders for yourself. This one is insanely useful for people like me who need to set timed reminders on the spot before forgetting about them, but making calendar entries takes too long. All you have to do is type 'remind me to X at Y' in the Google search bar, then click the blue 'Remind me on Google Now' at the bottom of the reminders box, and Google Now will alert you at that time about your reminder. Of course, you'll need Google Now activated for this to work. You can also set reminders to alert you when you get to a certain location.